The occupational therapy profession is joining the credential inflation bandwagon through the mandate of its membership organization AOTA and its educational accrediting subgroup ACOTE. Proposals are in place to advance the entry level for occupational therapists to the doctoral level. A companion proposal to advance the entry level for occupational therapy assistants to the baccalaureate level has been made but is in temporary abeyance. It is important to analyze the statements of the leaders and future leaders of these groups in order to understand their positions on these topics. Additionally, it is important to hold leaders accountable for their statements. 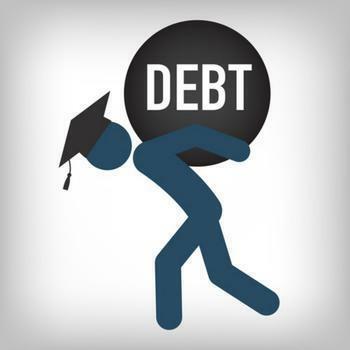 Do students purposely and deliberately take on these debt loads? To do so would require some degree of higher thinking and choice. Deliberation implies weighing and choosing. In a recent study published by the Journal of Financial Aid (Andruska et al, 2014), the majority of students were aware that they owed student debt, but nearly 40% underestimated the amount of student debt that they owed. The study indicated that 'loan confusion' increased with each successive year in college, probably based on the increasing numbers of loans that students had. Thirteen percent of students did not think that they had student debt, when in fact they did. Based upon this kind of data, it is inaccurate to state that students intentionally assume debt. That is not possible, because intention would require informed deliberation, and clearly there are students who grossly misunderstand the debt they are incurring. Additional analysis should also be considered. Although it is factual that students incur debt, and in fact they sign their names on loan papers, it is also true that those same students end up making rather stark life choices once they are faced with the debt that they have incurred. It is unlikely that so many students would place themselves in unfavorable positions intentionally where they have to make such stark life choices. This again goes to the issue of intentionality and deliberation based on full information. • The vast majority—75%—indicated that student loan debt affected their decision or ability to purchase a home. • 43% said that student debt has delayed their decision to start a family. It is unlikely that when students are entering into their choice-making process that all of them are fully aware of the future impact of their choice to take on debt. In summary, the idea that students intentionally take on debt is not a full or accurate description of the student loan context. "While it is still not common practice, some academic medical centers are now only employing doctorally prepared practitioners or offering salary differentials based on entry-level degree. These centers are responding to the perception that a higher degree equates to higher skill. This follows the logic of our current medical system, where physicians are largely seen as having more knowledge than other providers and are recognized as team leaders." It is important for the people who are going to be leaders of this profession to be acutely aware of the arguments that have been advanced in favor of the proposal, particularly when the arguments have no merit or basis in fact. Dr. Hildenbrand then elaborates on all her points. I encourage readers to go view her statements in full so there is no confusion about the context of what I am quoting. The issues of student debt, student intentionality related to debt, the impact of that debt, and the revisionist denial that higher salaries was used as an argument to support degree inflation should be studied by all occupational therapists. Leaders should be challenged to make logical, fact-filled, consistent presentations of their positions if they expect the profession to accept the proposals being made. Failure to meet these basic communication requirements has resulted in a significant loss of faith in the professional association leadership and their decision-making abilities. American Student Assistance. (2015). Life Delayed: New Study Shows Student Debt Impacts Financial Security of Borrowers Across All Institution Types, Credentials. Business Wire (English). Andruska, E. A., Hogarth, J. M., Fletcher, C. N., Forbes, G. R., & Wohlgemuth, D. R. (2014). Do You Know What You Owe? Students' Understanding of Their Student Loans. Journal Of Student Financial Aid, 44(2), 125-148. Have you seen Amy Lamb's message about the entry level OTD and ACOTE standards today? Yes, I did see the new AOTA message. This post was written several weeks ago. 1. They are buying time and hoping that they can surf through this by defusing the immediate concerns with a 'we are listening to you' kind of message that has no real meaning. 2. They will take actual steps to reverse course and act in accordance with the wishes of stakeholders. Words can rent good will. Actions will purchase it. Now we will have to see if AOTA will act.